Easter is nearly here and it's time to celebrate with family and friends with an egg hunt or a special Easter brunch. But it wouldn't be a celebration without stylish seasonal decorations and, of course, a beautiful Easter table. 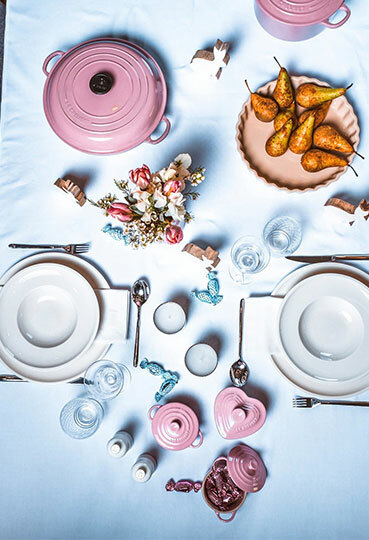 Interior expert Susanne Hesslenberg, creator of the blog sweet_living_interior, gives us her suggestions for three different ways to dress your table this Easter. Interior expert Susanne Hesslenberg, creator of the blog sweet_living_interior, shows you the most popular interior trends for Easter. Scandinavian style has become a firm favourite with interior design fans (including Susanne), and this trend suits elegant table settings perfectly. Using pretty pastel colours, this Nordic chic look reflects the natural hues of spring flowers, bringing the Easter table to life. Combine minimalist, functional accessories with, these muted spring colours on decorations and tablewear to create a sleek backdrop for your Easter celebrations. Discover Scandinavian-inspired pieces at Ingolstadt Village in the Le Creuset and Zwilling boutiques. 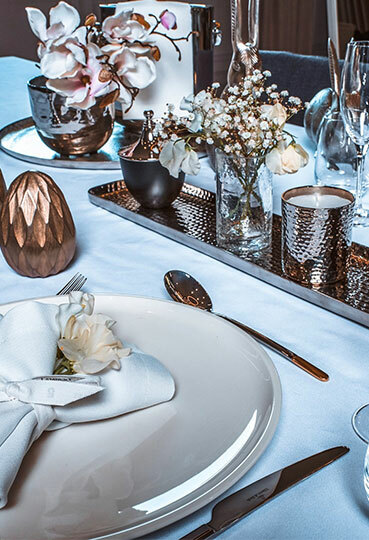 For a more opulent Easter table, Susanne has chosen luxurious colours and materials for tableware and accessories. This luxury look combines Easter decorations from Lambert in a variety of different shapes and sizes in glamorous metallic shades. Top tip: To make sure this look is chic rather than chaotic, stick to one family of materials and one colour palette. Easter is also a time to celebrate nature, and this fresh look featuring delicate branches and flowers does just that. Flowering branches decorating every place setting will make it feel like spring has sprung in your home. Susanne has selected simple tablewear, fine cutlery from WMF and cloth napkins in natural colours from Lambert to complete this natural Easter table. 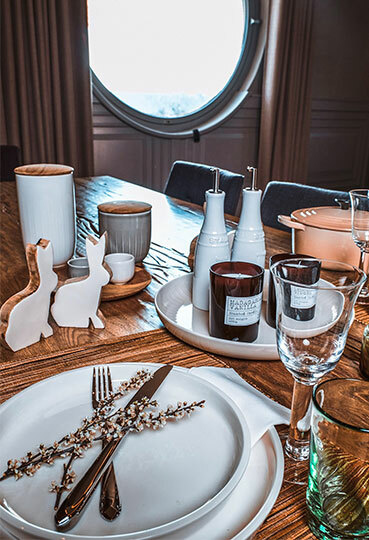 To add an additional touch of the outdoors, opt for wooden decorations, such as the Easter bunnies and salt and pepper mills pictured here.